Matawan, New Jersey-headquartered Vultr offers cloud computing services through its 16 data centers spread around the world. 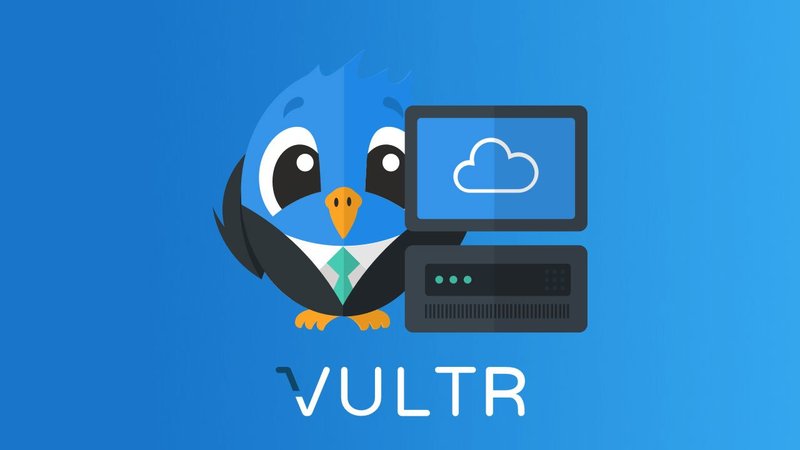 Vultr competes at the low pricing end of the cloud computing segment, avoiding a direct clash with hyper-scale providers such as Amazon Web Services and Microsoft, while competing against companies like Linode, DigitalOcean . The company offers several cloud infrastructure products including Vultr Cloud Compute, Bare Metal Simplified, Block Storage and Dedicated Instances. Vultr has 16 data centers around the world. Nine centers in North America, four in Europe and three in Asia Pacific. Vultr Cloud Compute (VC2) is Vultr’s virtual servers that can be deployed from any one of their datacenters. New deployments of 2GB plans or bigger VC2 plans use the latest generation Intel Skylake processors. Bare Metal: This service allows customers to deploy customized servers around the world and directly control the compute environment. Block Storage: Add scalable storage to your servers. According to Vultr, block storage is designed for 99.99999% availability and each storage unit is stored and replicated with 3 copies. Dedicated Cloud: Vultr Dedicated Cloud service lets customers rent an entire dedicated server or just 25%, 50%, 75%. This service is available for customers who are using data centers in New Jersey, Chicago, Silicon Valley, and Japan. Direct Connect: Vultr offers dedicated private connectivity starting at $500 per month. This service is available only in Silicon Valley, Los Angeles, Miami, New Jersey, Chicago, Amsterdam, and Singapore. Customers of this service must work with a transport provider to physically connect to Vultr’s datacenter. 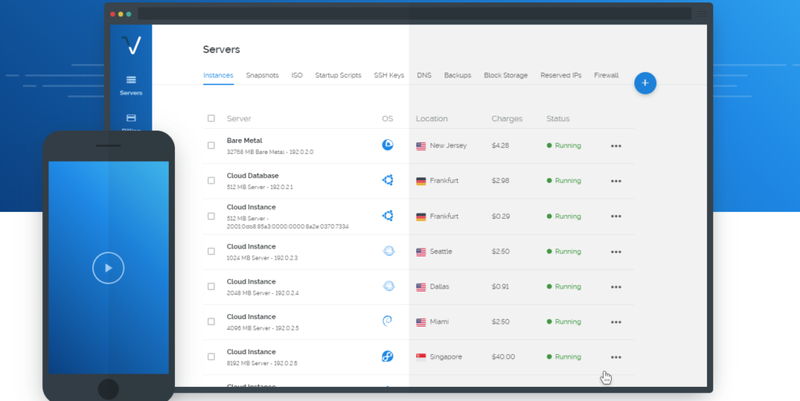 Control Panel: Dashboard to deploy, monitor and manage Vultr’s infrastructure services. One-Click Apps: Popular applications such as cPanel, Docker, Drupal, Joomla, WordPress, LAMP, LEMP, Magento, Mediawiki , Minecraft, Nextcloud, OpenVPN, Plesk Onyx, PrestaShop and Webmin can be installed quickly. Similar to other players in the cloud industry, Vultr follows the pay as you go model as customers are billed by the hour. No upfront payments and long term commitments. Vultr’s pricing tends to be on the lower end of the infrastructure as a service market. A virtual server with single core, 512 MB memory, 20GB SSD storage costs $2.50 per month, while a 16 core, 64 GB memory, 400GB SSD storage configuration costs $320 per month. Bare Metal server with E3-1270v6 processor, 8 CPU @ 3.8 Ghz, 32768MB memory, 5000GB bandwidth, 2*240GB SSD and 10Gbe Ethernet costs $120 per month. Block storage starts at $0.001 per hour ($1 per month) for 10GB SSD and goes all the way to $1.488 per hour ($1000 per month) for 10,000 GB SSD. Dedicated instances start at $60 per month and extend to $240 per month.